Do I need a visa to visit Germany? Let’s take a look. Here are a few fast facts about Germany visa requirements. I’ve divided the easiness of access to Germany into three categories: Easy as pie, Easy as pizza and Easy as Paella. If you’re an EU passport holder you don’t need a visa at all to stay in Germany indefinitely. You should have your national identity card handy though, or failing that, a passport. Citizens of Switzerland, Norway, Iceland and Liechtenstein also fall into the category. United States, Canada, Australia, New Zealand, Singapore, Malaysia, Croatia and South Korea. But visitors from these counties can only stay for three months within a six-month period in the European "Schengen" visa zone. This includes 25 European countries (most of Europe), but not including the United Kingdom or Ireland. So it's possible to stay in Germany for three months and then Austria for three months, but then you’d have to spend six months out of the Schengen zone before you do it again. Note that this visa doesn’t allow you to work or study in Germany. See here to read more about the Schengen zone. It’s a little more difficult if you come from South Africa, China, Taiwan, Russia, Turkey or any other country. You’ll need to get a special "Schengen Travel Visa" which you can only apply for from your home country. To get it, you’ll have to contact your local German embassy or consulate and fill out a few forms. You can download the application form for the Schengen visa in several different languages, and read more about visa requirements for Germany here. ● A passport which should be valid for at least four months after your planned departure date. ● A return ticket back home or at least a booking confirmation. ● Proof you have enough money to sustain yourself during your stay (a bank statement should suffice). ● And, of course, a passport photo. If you’re taking a course or planning to attend a school or university you’ll need a confirmation letter from your school, which should also be translated into German. If you’re a European Union citizen or come from Iceland, Liechtenstein, Norway and Switzerland have the right to live and work in Germany, just like that. 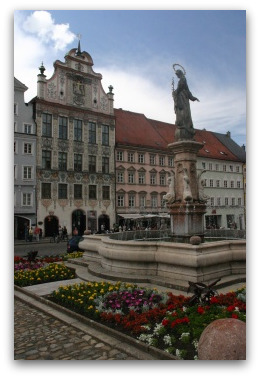 All you have to do is register with the local government office where they’re be living (this office is typically called the "Einwohnermeldeamt" or "Bürgeramt"). If you’re Australian, Canadian, Israeli, Japanese, South Korean or a US American you can apply for a work or study visa after they enter Germany (this is what I did, by the way). So it’s doable for you guys to enter Germany on a standard "Schengen" tourist visa, find a job, get your new employer to give you a letter of support and then go to the local government office to get a visa for a longer stay. Nationals of other countries have to have to get their hands on a German residence permit (Auftenthaltserlaubnis) first, which you have to do before coming to Germany. You guys should contact the German embassy in your country for more information. Good luck getting that rubber stamp! 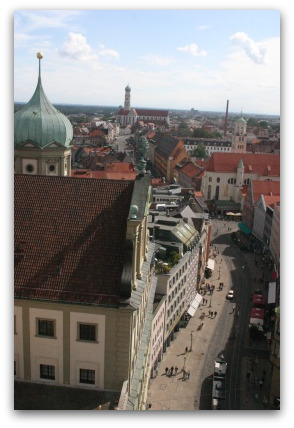 • Go fromto the main Munich Travel Info page.